ORANGE WALK TOWN, Orange Walk District, Wed. Aug. 30, 2017–Fifteen days ago, Yo Creek resident Dwayne Almendarez, 31, was shot in the chest, abdomen and leg by a Customs officer on duty. He died while receiving medical attention. 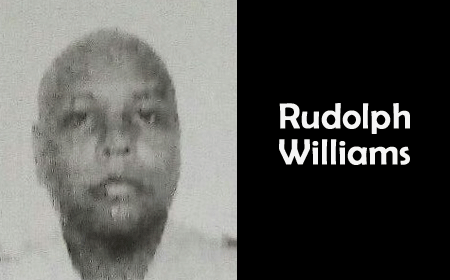 Today, police have charged that Customs officer, Rudolph Williams, 39, with one count of manslaughter. Williams was arraigned this afternoon in the Orange Walk Magistrate’s Court, where he was offered and met bail of $5,000. Strangely, he is to return to court on September 21, Independence Day. On Tuesday, August 15, Customs and BDF officers conducted a search for contraband goods in a passenger bus on the Santa Cruz road, in an area near to Botes, Mexico, reportedly a contrabandista’s paradise. According to these officers, instead of surrendering their contraband goods peacefully, the passengers became very unruly, and began to attack them with projectiles, and that was when officers purportedly fired a single warning shot in the air, to try to control the hostile contrabandistas. Authorities say that the deceased, Almendarez, did not budge. Instead, he reportedly advanced at Williams who, fearing for his life, shot him three times. The family of the deceased has claimed that Almendarez was unarmed and so did not deserve to be fatally wounded. According to them, they have footage to corroborate their claims. However, as we had previously reported, we have yet to see their evidence.